The issue is a call to a restricted platform API in FireMonkey, we are looking forward to remove in a future release. If you have an existing 10.3 Rio project for Android and you want to target Android 9 Pie, you should update the manifest file accordingly. It's very disappointing, that the refreshing problem for devices with older (5.1.1) Android versions remains unsolved. 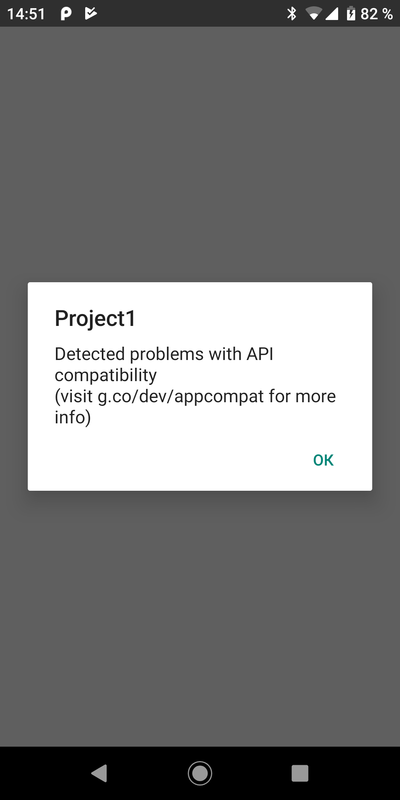 We are unable to develop any Androd Apps, not even updates. We are losing our customers, and I'm getting now the answer, that the ticket (RSP-23218) is planned to be solved in the next major release (Steve Axtell) in the second half of 2019! If Embarcadero makes fatal errors in Rio, it's to be solved ASAP. The Roadmap should be override. I cannot accepts an answer, that You don't have devices with Android 5. Buy one or we can send You. If we could, would ignore Rio, but the min. required SDK version of 26 let ius work with Rio, which seems to be the worst update since years.